Over the course of a single night in 2052, a homeless man named Cuthbert Handley sets out on an astonishing quest: to release the animals of the London Zoo. When he was a young boy, Cuthbert's grandmother had told him he inherited a magical ability to communicate with the animal world - a gift she called the Wonderments. Ever since his older brother's death in childhood, Cuthbert has heard voices. These maddening whispers must be the Wonderments, he believes, and recently they have promised to reunite him with his lost brother and bring about the coming of a Lord of Animals ... if he fulfills this curious request. Cuthbert flickers in and out of awareness throughout his desperate pursuit. But his grand plan is not the only thing that threatens to disturb the collective unease of the city. Around him is greater turmoil, as the rest of the world anxiously anticipates the rise of a suicide cult set on destroying the world's animals along with themselves. Meanwhile, Cuthbert doggedly roams the zoo, cutting open the enclosures, while pressing the animals for information about his brother. Just as this unlikely yet loveable hero begins to release the animals, the cult's members flood the city's streets. Has Cuthbert succeeded in harnessing the power of the Wonderments, or has he only added to the chaos - and sealed these innocent animals' fates? ON THE LAST DAY OF APRIL OF 2 0 52 , AS A NEWLY discovered comet, Urga-Rampos, neared Earth, a very ill, very old, and very corpulent man started to shoulder his way into the thick hedges around the last public zoo on earth. Cuthbert Handley, a freshly minted nonagenarianand a newly homeless oneclambered into the shrubbery as fast as his large, frail bones allowed (which wasn't very). As the tough branches of yew and hazel abraded his arms and neck and face, he hardly felt them: what stung him was consciousness, every last red, lashing ray of it. "Crack on," the old man grumbled to himself, struggling to guard his eyes with his immense hands. "Go, you two-boned bletherheadyou get a wriggle on!" Night of the Animals is the kind of world you hope will never happen, but it’s one to think about, and one that makes you think of the world we actually do live in now. Can we do better than this? Can we get to a place where we can erase these damning possibilities? Can Prince Harry just stay cool? Moreover, it shows us that there can be some beauty in a dark world, and that is its greatest gift. (Reviewed by Rory L. Aronsky). Starred Review. Through precise and eloquent prose and a hint of political satire, Broun creates a near future filled with bioelectric technology and characters with patois as diverse as their desires. Broun's novel is strange, witty, and engrossing, skipping through madness and into the realm of myth. Starred Review. Imaginative, fast-paced, thoughtful, and awash in laser-like imagery, debut novelist Broun's phantasmagorical fable vibrantly blends myth and satire to paint both a cautionary warning about present behavior and a futuristic vision of what the unbridled abuse of nature might unveil. For fans of Lydia Millet and Margaret Atwood. Starred Review. This highly recommended, original tour de force creates a richly imagined realm that evokes Margaret Atwood's The Handmaid's Tale and the Terry Gilliam movie Brazil while maintaining a sense of wonder. Starred Review. An impressive, richly imagined, deeply urgent story. Night of The Animals is the most beautiful, strange new novel I have read in years, and its obese, mentally ill, elderly protagonist is among the most engaging of heroes. The existence of this book in the present moment is a wonderment. [A] dark and magical futuristic rendering of the story of the Ark... with a glittering varnish of myth and invention. 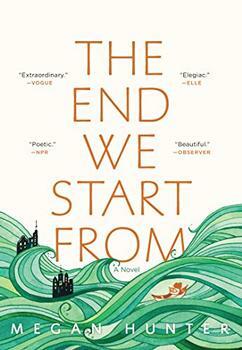 The result is a novel of startling originality; it is important, mesmerizing and touching. Bill Broun's Night of the Animals is troubling in all the right ways: a vividly imagined dystopia and an ecological parable that seems all too possible and all too real. 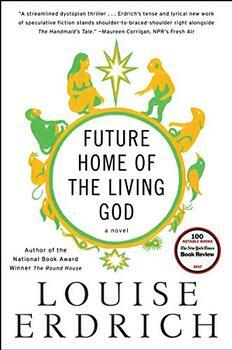 It's compulsively readable - a novel that earns your close attention, from beginning to end. In vivid prose that breathes and trembles like a living thing, Bill Broun brings into being a future that is just fantastical enough to tell the truth. Night of the Animals will captivate you, surprise you, and remind you of the strange, precarious thing it is to be human. Bill Broun's debut novel, Night of the Animals, features the London Zoo - but in the future. What will zoos look like in the years to come? Animals roaming free while visitors lurk underground for a glimpse of them? Fewer elephants and more amphibians? No zoos at all? According to various sources, including The Guardian and The Christian Science Monitor, these are just a few of the myriad possibilities for zoos in the future. A searing original, a modern-day parable of rebirth and renewal, of maternal bonds, and the instinct to survive and thrive in the absence of all that's familiar.